Jumia , Africa’s leading online shopping destination, has launched the “Shop-in-shop” concept to retailers and brands in Egypt in a move that will take the consumer online shopping experience to a new level. The “Shop-in-shop” on JUMIA Egypt is set to propel retail businesses forward quickly and effectively, through access to JUMIA’s own nationwide shipping fleet, storage facilities, customer service platforms and offer buyers flexible payment methods. A number of brands have already had big successes by being on JUMIA Egypt. Ravin Jeanswear, for example, is a fast growing retail clothing brand first launched in Egypt in 2004 and has 26 branches. 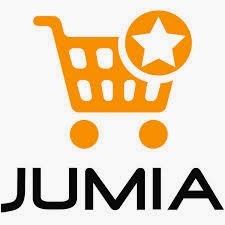 Today, it is achieving record sales through its online presence on JUMIA, more than many of its physical locations. In 2013, JUMIA was recognized as the winner of the World New Retail Launch award. Previous winners of this award include Amazon.com, H&M and Burberry London. In addition to the existing JUMIA Egypt website, the ‘shop-in-shop’ will add a range of branded, stand-alone boutiques for retailers who want to build their online store in partnership with JUMIA.